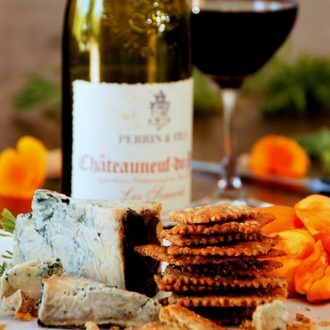 Story and recipe shared in 2008. Update: We lost our dear Dante in May, 2011. We love you, Dante. Thank you for bringing us so much love and joy into our lives. 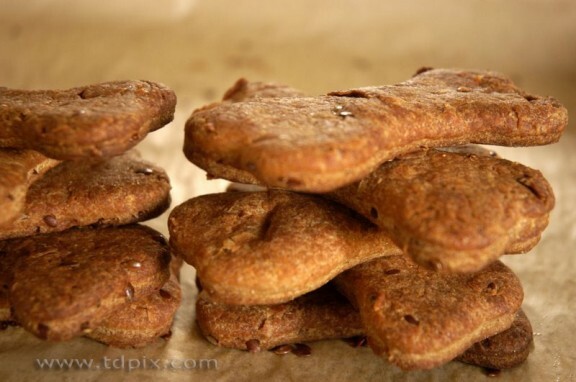 Update: here is a new recipe for Pumpkin Flax Seed Dog Biscuits. 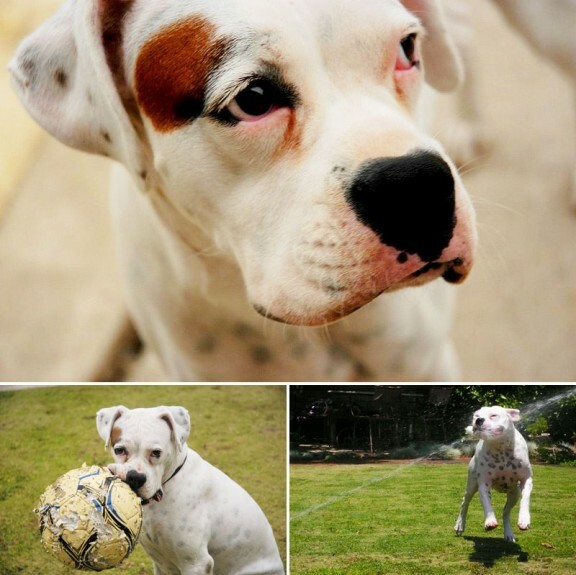 When we saw her 3 years ago, her gentle puppy demeanor, her adorable little brown “pirate patch” over her eye, her lovable licks and her warm, sweet gaze deceived us into believing that she was going to be the perfect puppy. She tricked us into thinking that with proper, firm training, she would do no harm. Can you call us two big SUCKERS?!! Not only has she killed and pulled up many plants from our garden, those that she has not killed, she’s eaten. We finally gave up on the idea of growing rhubarb because she eats the stalks even before the snails get to them. What’s left of the plant is a tiny base stalk with a dog paw print as evidence left behind. She loves strawberries too. Every other morning, it’s a race to our little strawberry patch to beat her to the ripened berries. If we’re a little late, she’ll be found licking her mug free of the super duper sweet chandler strawberry juice. It’s SO wrong to see two humans (us) salivating and staring down at a dog (her) who just beat her guardians to their prized strawberries. Can you call us JEALOUS?!! But she is a great soccer player, loves to play in dirt and her love of the sprinklers keep us entertained and forgiving of her destructive ways! He’s big, he’s lazy and he’s a princess. He is named Dante, inspired during our trip to Rome, after the famed poet Dante Alighieri. We really should have named him “princepesa”. Dante is supposed to be the big, strong, noble, athletic and fearless Rhodesian Ridgeback hunter that we also got suckered into loving. Is it too late to get a refund? Isn’t there an 8 year dog ownership statue of limitations?! What we ended up getting was a dog who HATES water, doesn’t like to get his paws dirty, screams bloody murder when getting his nails trimmed or when about to get a shot at the vet and sleeps about 20 hours a day. And worse yet, he will not chase balls. Nope, none of this “fetch, Fido, fetch” playtime with Dante. He looks at a tossed ball like it’s an insult to his character, giving us that “you really don’t expect me to chase that, do you?” look. But wait, those are his GOOD traits. If there’s one significant description to singularly identify this dog amongst others, it’s is his love of FOOD. Yes, of course, mostly all dogs love food and love to be fed. But our “great red hope” of a canine is so infatuated with food that if there was a plate of leftovers on the counter sitting over night, he will sit and stare at it ALL NIGHT. True! When we wake up in the morning, we’ll find this hound sitting in the kitchen, half asleep, hoping the food will miraculously fall to the floor for him to ingest. But he is part hound and does have great smelling and hunting skills. He can run trails with Mom & Dad like no other, and if one of us gets lost, we’re certain that he’ll be able to find us by smell. We suppose that’s a good thing! But they are loved! Aside from our rant, they do get treated quite nicely (we remind them of their fulfilling life). They get plenty of couch cuddles, ear rubs, new toys , daily walks, frequent hikes, beach visits and road trips. In return, they give us unconditional love and loyalty, despite our faults. To show them that they are really, truly and deeply loved, we make them homemade flax seed dog biscuits. Can you call them SPOILED?! Yes, they get homemade dog biscuits made from all natural ingredients. 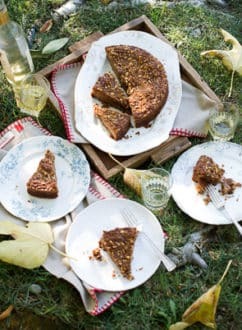 Our highly loved and tattered bible, “The Professional Pastry Chef” by Bo Frieberg, is the ultimate, extensive book that is full of wickedly amazing dessert recipes. 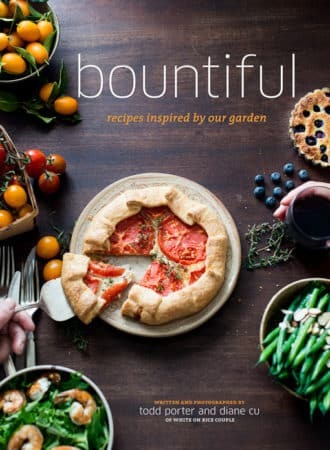 But Bo Frieberg’s very first recipe in this monstrous book for human consumption is a recipe for dog biscuits, in which he dedicated to his dogs. This recipe has been in the White On Rice Couple’s household for 8 years now and along with the addition of flax seeds, it’s a culinary tradition will continue to be fully executed for as long as we have four legged monsters in the house. “Sharing the Love” of dog biscuits ! Dante & Sierra want to share their biscuits with their canine friends. Awww, isn’t that so kind of them to extend their treat bag to their doggie friends? Well, we didn’t tell Dante, but what he doesn’t know won’t hurt him. So for all you mommies and daddies out there who have doggies that would like to sample some of these delicious homemade dog biscuits, we’re “Sharing the Love”! Dear blog friends who have dogs, you will love these, seriously you will. Take a bite into them for yourself and you’ll see that they are quite delicious. But wait! These are for the dogs, so if you want some for your dogs, just leave your comment here and we’ll get back to you. 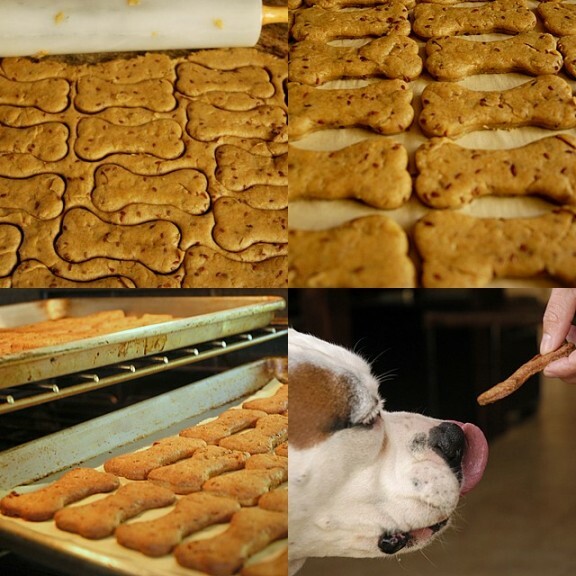 In the meantime, we hope you enjoy these dog biscuits and try to make them for your canine loves! 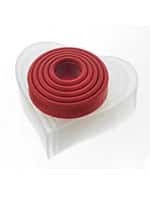 Cuisipro Heart Cutter Set – Set of 5. Snap together for easy storage Nice heart shape and easy to handle and press. Fox Run Bone Cutter Set – These are the bone shaped cutters we currently use (a little smaller than the ones used in this post’s photos). Fun shape! Set of 3, comes in a handy storage tin. 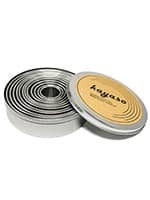 Kayaso Round Cutter Set – This is our favorite round cutter set. Great selection of sizes. We’ll use the smallest for slightly larger than kibble sized training treats. Combine wheat flour, bread flour, wheat germ, salt, and brown sugar, and flax seed in mixing bowl. Stir in eggs and vegetable oil. Dissolve dry milk in water then incorporate the mixture. Mix to form a very firm dough that is smooth and workable. Adjust by adding a little extra flour or water as required. Cover the dough and set aside to relax for 15-20 min. Roll the dough out to 1/2″ (1.2cm) thick. 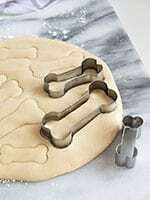 Cut out biscuits using a bone-shaped cutter 3″x1.5″ (7.5×3.7cm). Place the biscuits on sheet pans lined with baking paper. Leave a Comment or share a photo on Instagram with the hashtag #whiteonricecouple. If storing the biscuits, how long do they last before going bad? We’ve had them last at least a month when properly baked (a batch hasn’t lasted longer between our two pups). Better to overbake a bit if unsure. If they are underbaked then they might mold after a week or two. Cheers to happy puppies! 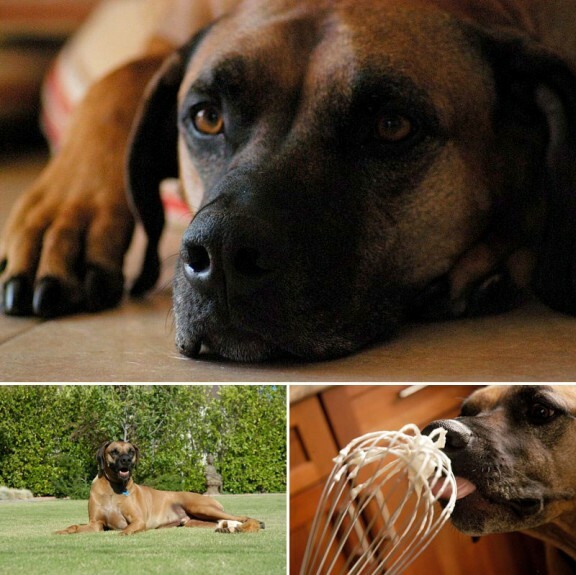 Mom was frustrated–we hated all the cookies she made, even Hoss, who will eat anything. Then she found this recipe–thank you for sharing! Mom says it’s hard when 3 100 pound dogs are so picky, and she’s very glad Sierra shared! I’m soo curious as to what type of dog Sierra is.. She’s is just to cute.. 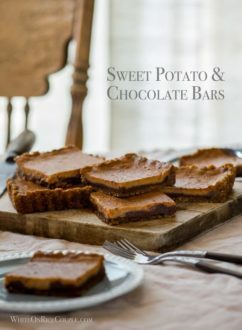 Thank you so much I did a Google search and found this great recipe our new puppy loved them and I made extra for Christmas Gifts. They were a huge hit, I’m posting today with a link to you. Just wanted to tell you how much my boxers love the peanut butter dog biscuits I made the last few months. I did want to double-check on a measurement with the wheat flour and the all purpose flour…it reads, 2/34 cup each…of the flours…the dough seemed a bit difficult to work with the last time I made these biscuits…am I doing something wrong…maybe too much flours??? I appreciate any feedback. 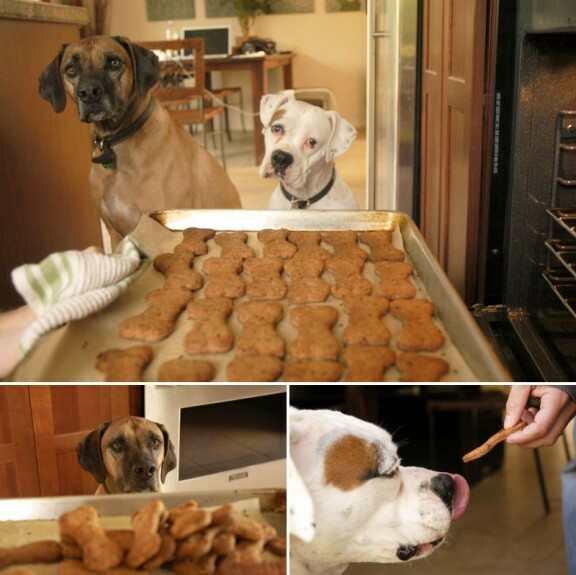 Again, the boxers, Kuma, Louis and Bentley go absolutely crazy for these treats…also, Beau the boxer and Luke the Lab. thanks again. Thank you for sharing this recipe. I’ve had mamma make it four times in the last two weeks. She had to make four batches because I kept stealing the biscuits; THEY ARE GOOD. I’m going to a dinner party tonight where I’ll share them with a labrador and a collie mix. Looking forward to making some treats! Oh wow!! I love your presentation and this is something I must try for my dogs (Roxi half-pug half-weenie, Paco – chihuahua and their pup Pebbles) and see how they like them. This sounds like the perfect reward treat. Nutritious too! My goodness, if my baby boy, Thor, was anymore like Dante, they could be brothers. Although, Thor thinks he weighs 100 lbs, he really weighs in at a whopping 5 lbs. 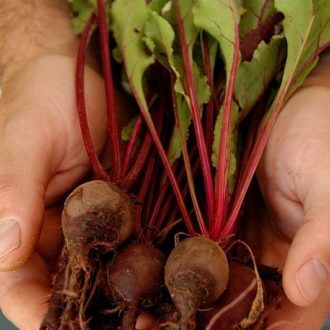 He loves food with a passion and gets all the Vegetables and fruits he could ever desire. People keep telling me that I have one of the healthiest dogs ever. 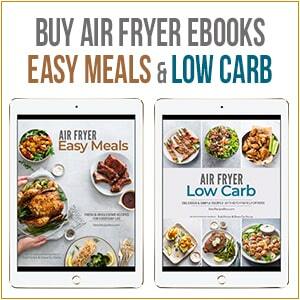 I have been looking for a good healthy recipe to bake for him, but haven’t found anything that I really like. And with the recall on peanut butter, I am scared to fix that. I am hoping that this recipe will do the trick for him, the pictures look scrumptious. i have been looking for a good dog biscuit recipy and my dog (sister) jinger would love to be friends with Dante & Sierra. Jinger is also a boxer puppy she is so cute and yours is too!!!! I can’t find the recipe you reference for homemade FLAX Seed dog biscuits. I followed the link and I see a reference for some dog biscuits, but there is no mention of flax seed in them. Do you have the recipe? OH OH!!! Can I add my new pup to the list of friends pleeaaaase? His name is Pembrooke but he’ll only answer to Pemby (I guess I don’t blame him…) and pictures of him can be found on my food blog. =D Pemby needs friends!! lol, those are some adorable looking dogs and I can sympathize what with my two little hellraisers. One of them (the great dane who thinks he’s a little lapdog) is currently standing and banging on the keyboard as I try to type this while the other is barking at a dark corner of the room…but I love them anyways! I’ve never tried cooking my own dog treats, but these sure look easy enough…and I’m sure these two would be all over it! your puppies are adorable. i love they way they’re ogling at the biscuits. very expressive. Well Dante and Sierra definitely stole the show – it’s about time you gave them equal billing! I know, I know, they have their own blog – but that’s for DOGS to read! Please give them a big paw’s up from Caesar Beezer The Wonder Dog! Thanks for the shout-out to my mom – I’ll email her and tell her once again how to get to your blog so she can see read it for herself. I know that even with all of the gifts you’ve received they pale in comparison with your generosity!! Nice try – trying to convince us otherwise. Thought I’d share our dog’s favorite cookie recipe. My dog, Lakita, would be delighted to enjoy your wonderful biscuits. She and I are glad to see Sierra & Dante coming to the fore front in the adventure section. Lots of wags of love for all. Your dogs are so cute! I have made doggie biscuits before for Winnie and Bear. Dante sounds like my dog Bear, lazy as heck, and will do anything for a scrap of food! Sierra looks so cute! I tagged you. I hope you don’t mind, but I’d love to hear your comments! Beautiful dogs! I also bake treats myself for my dog. Those are 2 lucky pooches. Those biscuits look fit for human consumption! Great POST! Thanks for the “thank you” – glad you like the marmalade. We are trying out hands at some limoncello, too, will keep you posted on that one! Your dogs are just too cute! Our dog, Max, also loves the garden. We had to end up putting a fence around it last year to keep him from eating everything!! But best of all, Max loves all other doggy friends, so he would love to be friends with Dante and Sierra. Who are you kidding?! Those dogs are DOG-GONE cute. Yes, I know, I have a dog, too. The little darlings call him precious, I call him a royal pain in the (well, you know). But they are like children- you see them being cute in a photo (or sleeping) and you just have to go “Awww, isn’t that cute?” And then they go puke on the carpet! how cute cute cute!!! i have two dogs as well — they’ve made appearances on my blog a few times — calvin at http://www.sugarlaws.com/sesame-ginger-cookies/ and coco at http://www.sugarlaws.com/cinnamon-white-chocolate-fudge/ ! they are pretty much the center of my world! my fiance and i talk about them as if they’re our human children, and spoil them mercilessly. they haven’t yet gotten freshly baked dog treats yet, but it’s coming soon! thanks for the recipe!!! cutest picture ever of the two pups eyeing the cookie sheet. I can’t believe how disgustingly cute that first picture is. I almost squealed. Love it. Love it. Love it! I’ve always wanted a Rhodesian Ridgeback! I think our place is much too little for such a big dog though. Have you guys ever seen Thai Ridgebacks? o.m.g! They’re *cute*, so damn *cute*! I just showed this post to Vodka (my giant yellow lab) and he’s drooling all over those cookies! I’m so baking these cookies this weekend, many thanks for the idea, WORC! Awwwww, they’re too cute! In the first photo, it’s hard to believe that Sierra’s ever a troublemaker… wait, nevermind… Bear has a pretty sweet face, too. It’s less cute after he’s killed a skunk in the backyard. 😛 I guess the sweeter the face, the bigger the trouble. I do love regal Dante and his insulted looks. Bear refuses to play fetch when he’s not in the mood, too. When he does want to play, he is good at the chasing and obtaining part, but not the returning. Looks like Bear and Dante can’t keep up with their Lab and Golden counterparts when it comes to fetch. They’d get along so famously… they’re both princesses (Bear can be an absolute queen when he wants to), stalk food, and they love rolling in the grass. Can’t wait to try the biscuits! I’m sure Bear will appreciate them. I’m forwarding this to all of my doggie loving friends! Your dogs are lucky to have such loving parents. Homemade dog biscuits!! Your lovely, drooling doggies are so pampered!! 🙂 I want a dog for whom I can make dog biscuits! Aw, I love that picture of them ogling the pan of biscuits! Spoiled indeed! What cute kids (the dogs I mean…they’re kids, right?) Makes me miss our black lab who was spoiled, wonderful and played golf!! (ok, she didn’t actually “play” golf, but she did retrieve the balls!!) If I lived closer to you guys, I might even offer to “dog sit” for you sometime…these look like a couple of cuties, troublemakers or not! 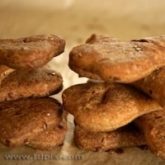 Nice post, and good recipe for the biscuits! 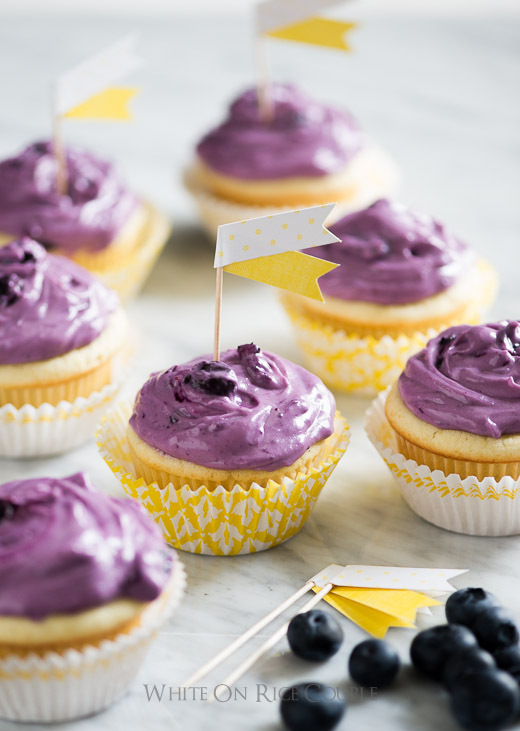 What a wonderful recipe….even though we “cook” for Da Boyz every night, we’ve never tried baking for them. I think the Missus needs to get to work! OMG! there are so so so cute and adorable! Hi T&D, I love this post! Dante and Sierra are just gorgeous, and I would spoil them too. I grew up with dogs, but unfortunately have spent my post-Uni life dog-less and in apartments (although I adopt friends’ pets as much as possible). Those dog bikkies are adorable. And thanks for the mention – glad the package arrived safely!! My little christmas ham- cylinder with legs-crack head-blind in one eye-starbucks latte loving- doesn’t bark- rarely runs-scared of the cat- used to have a tumor on top of her head- shelter chihuahua, Roxy would be totally scared of your dogs. Okay, your dogs aren’t cute they are very handsome because boxers aren’t suppose to be cute. WOW… all this gift-giving! This food-blogging thing keeps reaching levels I never knew it would. You may need a new house for all those gifts. People are so nice… how the heck do you have time to send all this stuff to people? I must say, your dogs are SERIOUS POOSHES (that’s Amy-speak for totally cute). They look so chill and fun – the way I like people! My parents thought I had a social disorder when I was young b/c they thought I liked animals more than people. Well, I still kind of do – but this post w/ all the gift-giving is restoring my faith in the human race. I guess I shouldn’t be saying that since I’m a counselor for a living. And I can honestly say, if I was a dog, I’d say those biscuits looks delicious. Is it bad that I kind of want a taste? They seem like they could go either way… cracker/dog biscuit. damn, i must be hungry. I beg to differ: Sierra is too cute. Adorable even! And Dante has the most soulful eyes and expression. I don’t know how you resist him asking for anything. That picture of him looking at the biscuits is killing me! My dogs name is Annabelle and I know she will love these dog biscuits. Tell Sierra and Dante Annabelle says thanks for the recipe! I bet my two dogs, Gracie and Holli, would love those treats…oh, who am I kidding. They like anything that’s remotely like food. Thanks for the mention guys! I think of you both everytime I reach for the rosemary! What’s left of it still looks fresh & wonderful! I’m sure Moose would love a home made biscuit. Our mailwoman gives him a biscuit every Saturday and he promptly run to dig and hide it. 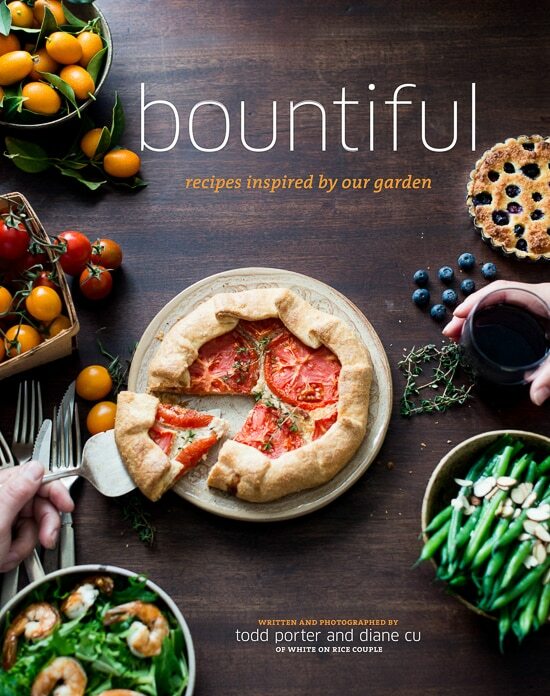 Heck if I feel ambitious, I might even give this recipe a try! Thanks! Cool post. many of us have pets and it’s cool that you two even serve up gourmet for the pooches. ARF! ARF! Bad doggies!! Hahaha 🙂 But hey, a dogs with good taste can’t be bad, right? Hee hee.